The Inferno MP9e competes at the highest level in major 1/8 scale electric buggy races around the world. To keep pace with the ever-changing race scene, continuous evolution ensures the MP9e Evo incorporates the latest racing technology. Based on the competition-level MP9e racer, this Readyset package represents excellent performance value. While maintaining the exceptional flat maneuverability and aerial control of the previous model, the new chassis layout of the MP9e realizes improved balance for even greater control. The aero body has been designed specially for this electric racing buggy to deliver critical elements such as turning, traction and rough surface performance. At the heart of the MP9e is the new KYOSHO SPEED HOUSE brushless motor and ESC. 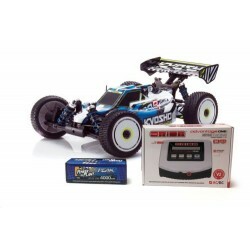 This factory-finished Readyset package contains nearly everything needed to hit the track; all you need to add is a charged battery to the chassis and batteries for the transmitter! Experience off-road racing with the one machine that will never let you down, the MP9e! 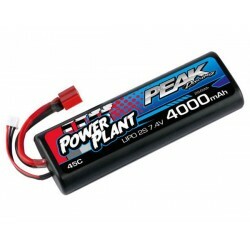 Fully assembled chassis with completed body in a Readyset includes everything except battery for the chassis, battery charger and batteries for the transmitter. 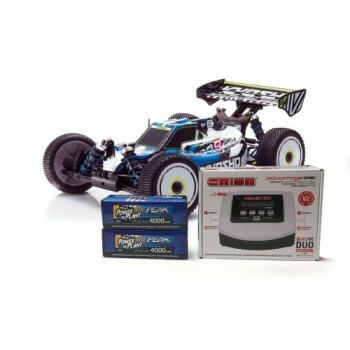 Equipped with KYOSHO SPEED HOUSE brushless motor and ESC for dynamic power and performance. High torque KS5031-09MW waterproof steering servo included. Equipped with stabilizer that reduces roll during cornering and contributes to improved steering response. 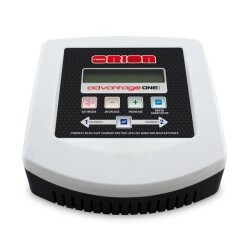 Allows precise setting adjustment of wheelbase, tread, toe angle, camber angle, caster angle and roll center etc. Dust guards equipped on rear suspension arms to minimize interference with the drive system. Decals applied to wheels improve visibility and styling. Compatible with most optional parts for the Inferno MP9. Sign up with your email and get notifications of new products and hobby news! Al’s Hobbies is a premium model store stocking the latest products for hobbiests in the UK. Based in Milton Keynes, shipping worldwide.